Posted on 05/12/2017What Is Peripheral Neuropathy? “Waiting on pins and needles” is a great description for waiting anxiously because it implies a sense of discomfort. Getting poked with pins and needles—or anything sharp—is painful and makes you want to get away from the source of the problem. When that sensation comes from nerve damage in your feet, though, “getting away” just isn’t possible. Fortunately, treatment for nerve pain from peripheral neuropathy, the cause of burning, tingling, painful sensations in your toes, has come a long way. New Combined Electrochemical Therapy (CECT) approaches nerve pain relief in a new way and alleviates a significant amount of discomfort. Peripheral neuropathy is nerve damage to your extremities. 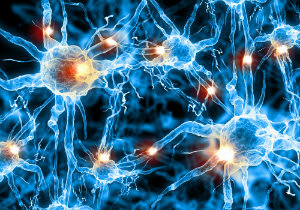 Typically it causes burning, tingling sensations, but it can also lead to numbness and difficulty with moving, since nerves aren’t able to send or receive messages from the brain accurately. This is uncomfortable and can make normal mobility or participating in activities very uncomfortable for you, not to mention increasing the risk of issues like foot ulcers. Peripheral neuropathy is a general condition that can have many different causes. The most common is diabetes. The damage from elevated and fluctuating sugar levels impairs your nervous tissue. There are plenty of other causes that can lead to the problem, though. Injuries, arthritis, autoimmune disease, neurological disorders, and even severe vitamin deficiencies and alcoholism can all contribute to neuropathy problems. CECT is a treatment process that combines multiple methods to alleviate your discomfort. It also improves circulation and decreases swelling and inflammation in the nervous tissue, helping them heal. This process involves combining two different approaches to reducing nerve pain so that they work together to provide relief. The first, the electronic signal therapy (EST), overloads the nerve’s signal processes, decreasing them. The other half is a mild, localized anesthesia. This numbs the nerve, also alleviating pain. Together, these two methods can have a long-term, positive effect reducing your discomfort—and for some people, the results could even be permanent. Our team at Absolute Foot Care Specialists wants to help you eliminate your pain and live comfortably and healthily—even with peripheral neuropathy. We’ll carefully evaluate your lower limbs to determine the specific cause of your condition, then help you work through the best ways to treat it. We’ll also see if Combine Electrochemical Therapy is right for you. When you start treatment for nerve pain through CECT, you’ll need a diagnostic ultrasound so our team can identify the exact nerves within your foot to treat. We’ll then apply the two factors of the treatment. Usually it takes 20 minutes. Normally people need 8-16 treatments to receive the full effect. We also combine oral food supplementation for more holistic results. Overall, there’s an approximately 80% success rate for radically improving peripheral neuropathy pain. No one enjoys nerve pain and the way it can limit your mobility or activities. It can be difficult to manage, but that doesn’t mean impossible. There are ways you can take care of your lower limbs and alleviate your discomfort. Don’t wait to get help. Contact Absolute Foot Care Specialists about our CECT program and your peripheral neuropathy. You can reach any of our Las Vegas offices by calling (702) 839-2010 or by using our online request forms.